China’s two major opera houses are joining the ranks of distinguished institutions like the Met Opera and the Royal Opera House with the first recordings and screenings of their operas. Beijing’s National Centre for the Performing Arts (NCPA) recording of Puccini’s Turandot opened this month’s Beijing International Film Festival (BJIFF), while the Shanghai Jingju Company will screen the 3D opera adaptation of Farewell My Concubine at the Dolby Theatre in Los Angeles later this year. The decisive push shows that China is as ambitious in the field of event cinema as it is in conventional films for cinema, despite the lack of tradition of screening ‘alternative content’ in cinemas. Yesterday the BJIFF hosts the screening of NCPA Opera House’s Turandot, which has been localised and given a Beijing-setting but sung in Italian. The event was captured in high definition in partnership with Huaxia Film Distribution Co. and will also be shown at the upcoming 17th Shanghai Film Festival, which will have a special focus on opera movie screening. Perhaps counterintuitively, the first screening of the event took place at the NCPA itself on Sunday 16 March, as part of the 2014 Opera Festival, where a special 6-meter-high and 16-meter-wide screen was erected on the stage for the HD projection, with the production crew, NCPA orchestra and choir members all present to see their work on the big screen. 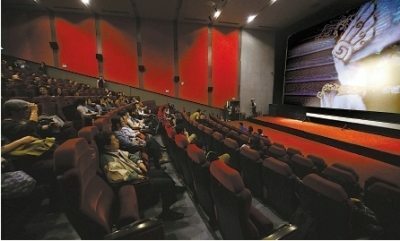 The BJIFF screening took place at the Xidan Joy City Capital cinema, which has 290 seats and recorded an attendance well over 70%. Much like western operas shown in cinemas, the audiences clapped and cheered ‘Bravo!’, despite the opera not even being shown live. Interviewed afterwards by Xinhua news, the audience members were overwhelmingly positive to the new experience. “The film version of the stage version of the opera and there are still differences.” Audience Li Wei said, “the stage version of the opera actor observed facial expressions, and the movie screen actor expression, subtle emotional changes have been enlarged, more have impact.” In his view, the film more fully meet the opera opera lovers’ visual enjoyment. When Princess Turandot tears appear on the screen, kneeling in prayer picture viewer Hu Fang Yankuangshirun. “I’ve seen the opera before,” Turandot “, but there is no sound in the cinema today feeling good, feeling listening to music today play exceptionally moving,” she said. As in US and UK, the price is a major factor for the popularity, with tickets for regular screenings in cinemas across China starting from today, costing just 30-50 yuan (USD $4.80-8.00). Turandot is the first of several NCPA operas that will be shown at the BJIFF, with the full program listed below. While the world is familiar with famous Chinese classical musicians, such as pianist Lang Lang, China’s rise in the world classical (non-Chinese) opera has been less written about. The NCPA (also known as the National Grand Theater) was only established in 2007 but has been moving fast to establish itself in the world of international opera. Overcoming initial controversies, such as architect Paul Andreu futuristic egg-shaped building design and the ensuing construction deadline and budget over-runs, the centre has done its utmost to attract top global talent. Plácido Flamingo sang there (as a baritone) as part of the 200 year celebration of Verdi in Nabucco last year alongside Chinese soprano Sun Xiuwei. In just six short years the NCPA has created a repertory of 35 productions, of which 26 have been western classical and Chinese operas, with the remainder encompassing everything form drama to dance theatre. And while operas in the west worry about aging patrons, the NCPA has consistently targeted and appealed to a target audience in their 20s and 30s. Last year, the NCPA staged an 88-day opera festival featuring 12 productions between April and July. What’s more, the centre decided to commission crews from Europe to turn three of the operas into HD films. “This was not an afterthought. The idea of making opera movies came to us when the NCPA was established. We enjoy close relations with some of the top opera houses in the world so we know what is in trend,” says Ma Rongguo, head of the NCPA’s art resource centre. The Italian production company Metisfilm Classica was responsible for recording two of the operas and the appointment of the company’s video director Tiziano Mancini is another example of the NCPA attracting global talent such as pianist Garrick Ohlsson and partnerships with the likes of the Mariinsky Theatre and the Boston Symphony Orchestra, as well as promoting talent from the mainland. Although the NCPA hasn’t sought to introduce HD transmissions of live performances as the New York Met has done, developing HD products requires considerable and long-term investment. However, the NCPA has already announced plans for its next operas headed for the big screen, with Mozart’s The Marriage of Figaro with an all-Chinese cast already recorded earlier this year, and Bizet’s Carmen, Verdi’s Rigoletto and Othello set to be captured later this year. In addition to the western operas, Accentus Music has filmed You and Me, a Peking opera directed by notable film maker Zhang Yimou. While Met operas have been screening in 2009 with good success, this is a more new phenomenon on the mainland, which is why the BJIFF shows are being observed closely. China did film adaptations in the 1950s of famous Chinese operas such as “White” “Third Sister Liu” and “Sister Jiang” making household names of the operas, stars and arias. Much like the rivalry in the UK between the Royal Opera House and Glyndebourne Opera or the English National Opera (ENO), so to NCPA is farfrom the only opera company in China. Nor is it the only one with its sights set on the cinemas screen. Established in 1955 the Shanghai Jingju Yuan (Yuan means ‘Company’) has a long tradition of performing Shaoxing/Yueju opera, also known as Beijing Opera, which denotes a style rather a geography. Sometimes referred to as the Shanghai Beijing Opera company, it is looking to upstage the NCPA by recording its operas in stereoscopic 3D and showing them in Los Angeles. Celluloid Junkie can reveal that the Shanghai Jingjun Company’s 3D version of the Farewell My Concubine opera adaptation will be screening this May at the Dolby Theatre in Los Angeles where the Academy Awards are held, the first over for a Chinese opera. At will also be presented in Dolby Atmos, another first for an event cinema recording. Adapted from the 1993 Cannes Film Festival’s Palm d’Or-winning film by Chen Kaige , the opera was recorded in 3D in the summer of 2013. It took the Shanghai Jingju Company over a year to finalise the production, with changes to the script and event make up adapted. Quoted by the CCTV news channel, Opera Actress Shi Yihong observed that “Traditional opera make-up is not suitable for the screen,” as it made the actor’s face look too big in close up. The opera will be shown in several places across the US this May as part of a wider cultural exchange, according to Hainan Daily. According to reports, in addition to the premiere in May this year be held at the Dolby Cinema, there will be further screenings in the University of Southern California, Harvard University, as well as four well-known American university libraries will also be gifted a grand collection of “Farewell My Concubine” copy, as in US cultural exchange and academic research purposes. The two Peking opera masterpieces, namely “Auspicious Dragon and Phoenix” by China National Peking Opera Company and “Farewell My Concubine” by Shanghai Jingju Company, will be the first to be made into films. 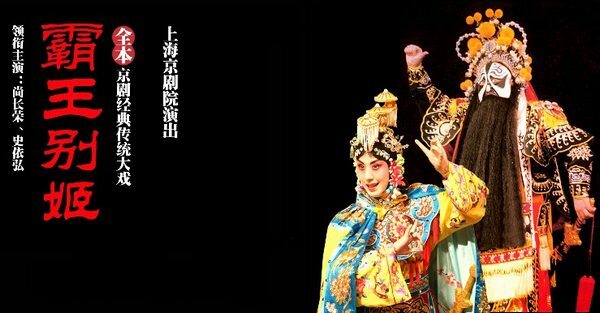 “Auspicious Dragon and Phoenix” will star Chinese Peking opera masters Shang Changrong and Shi Yihong, and “Farewell My Concubine” will use the talents of Li Weikang, Geng Qichang, Zhuqiang, Ye Shaolan and Zhao Baoxiu. The production is being handled by China Film Group Corporation and Shanghai Film Group. We should expect to see China to make as much of an export success of these operas as it classical musicians.